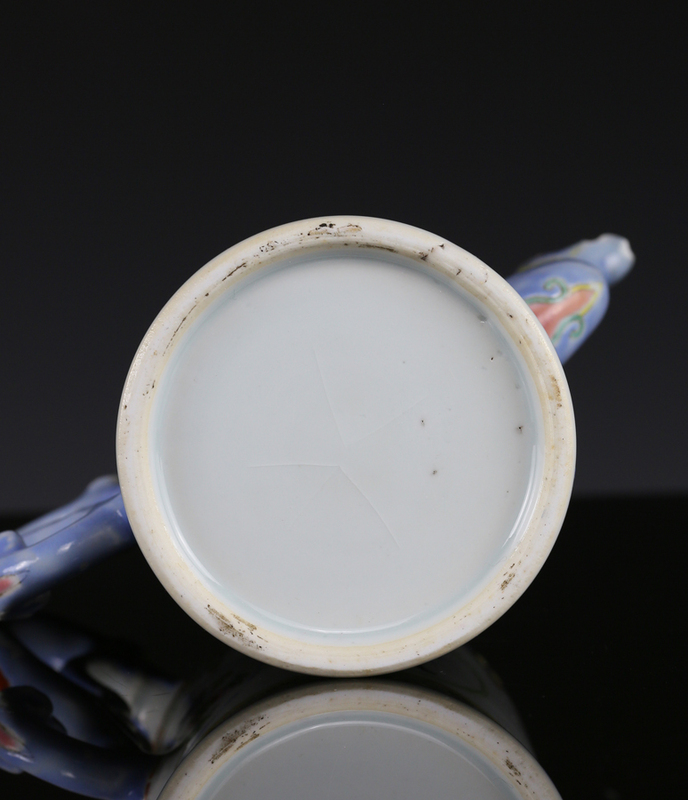 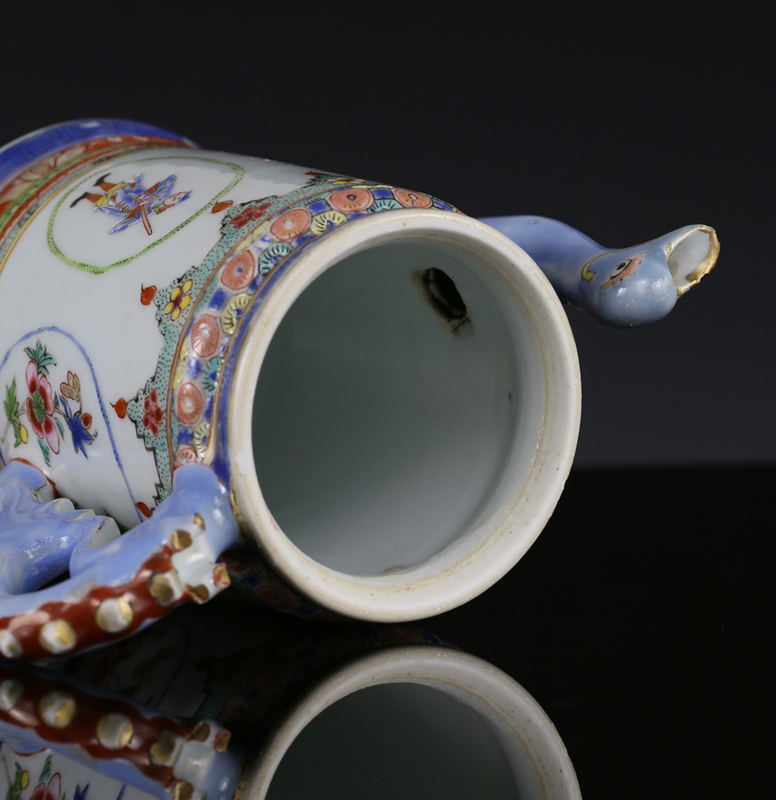 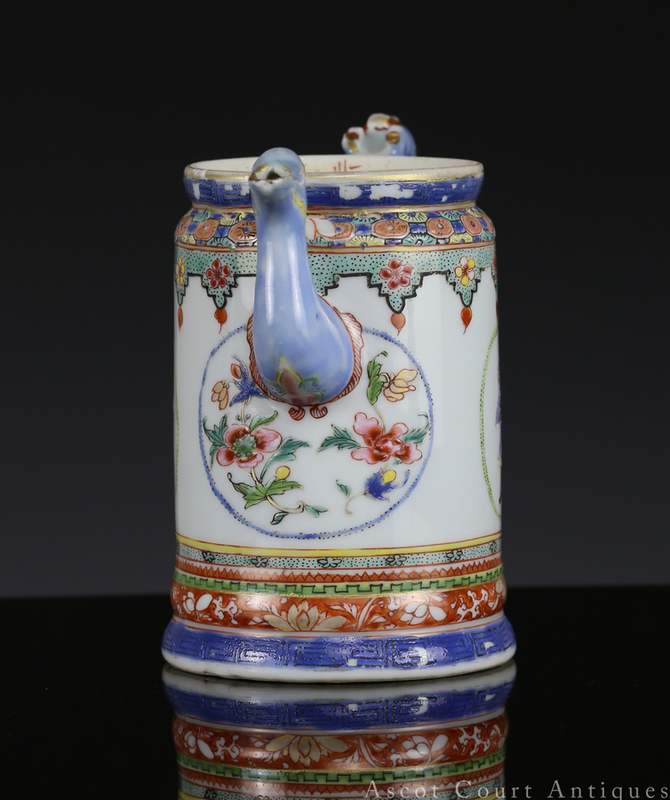 A rare early Qianlong famille rose coffee pot, of cylindrical barrel form with a bird-headed spout and a dragon-tail handle, decorated on both sides with European gentlemen framed by oval cartouches. 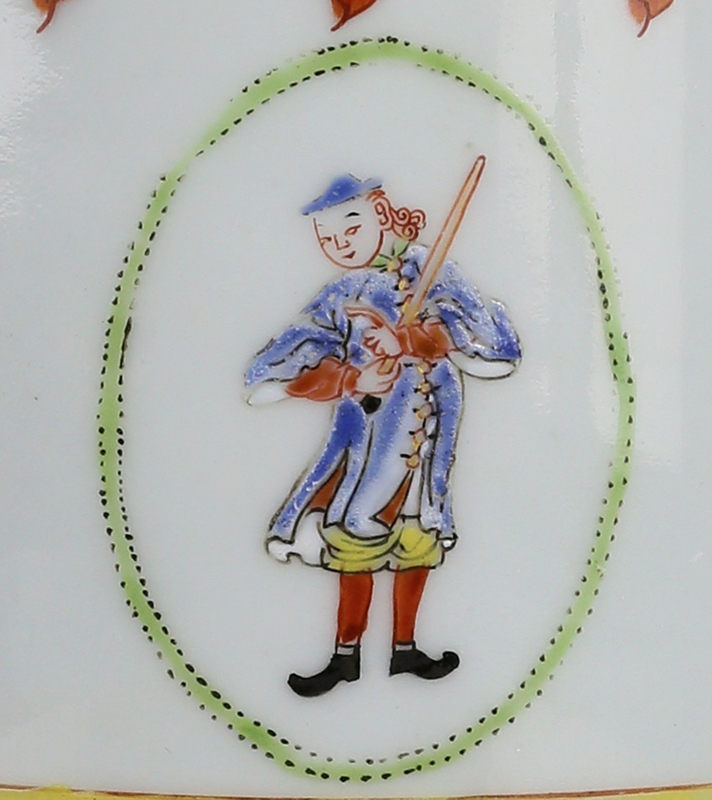 The pot is profusely enameled with decorative bands and borders of different designs (such as greek key fret, honey comb diaper, prunis against ice, and kinrande floral scrolls). 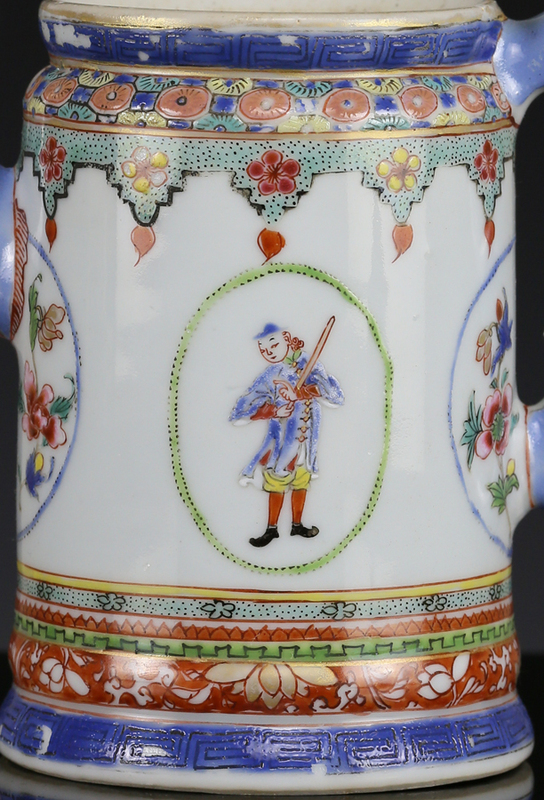 Chinese porcelain with images of Europeans are rare even amongst export wares; they represent a flowering of trans-oceanic exchange of goods, ideas, and images between China and Europe in the early 18th century. 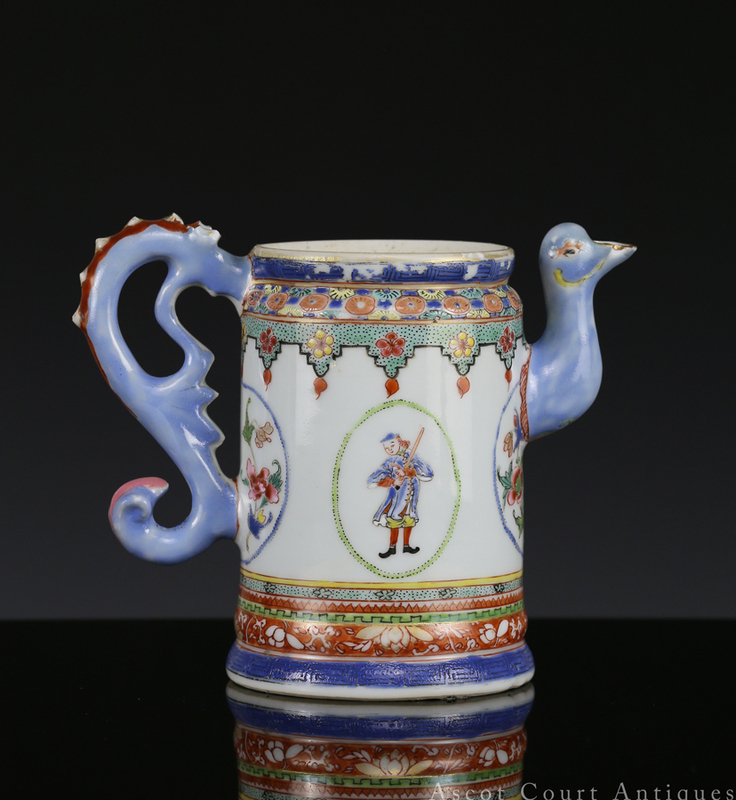 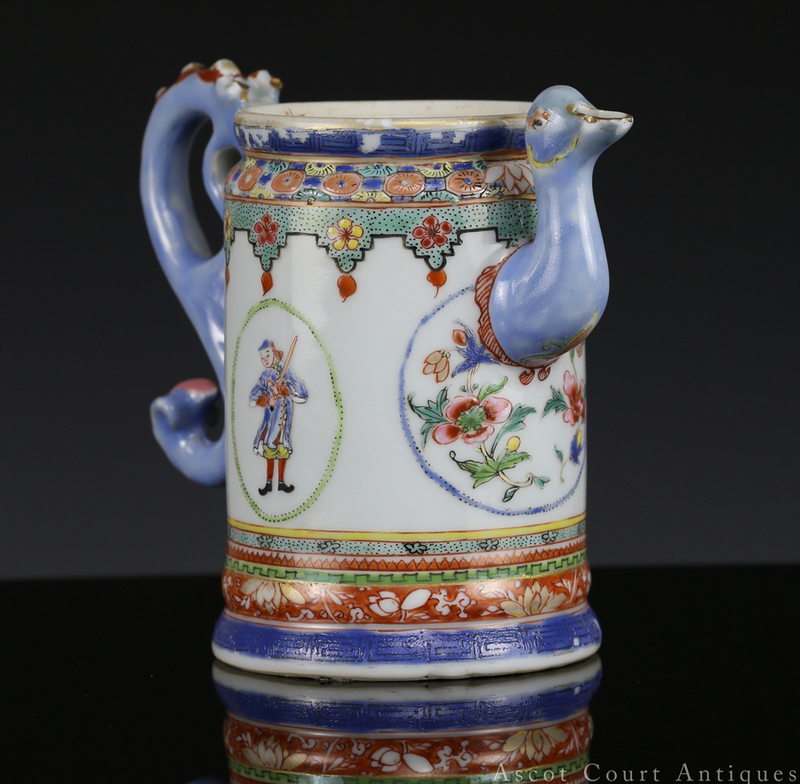 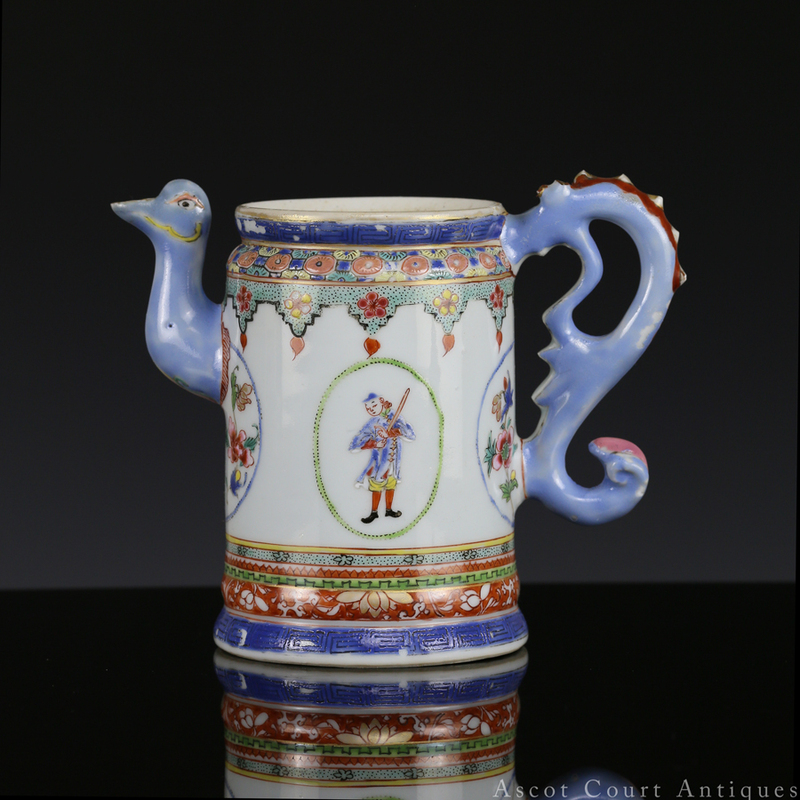 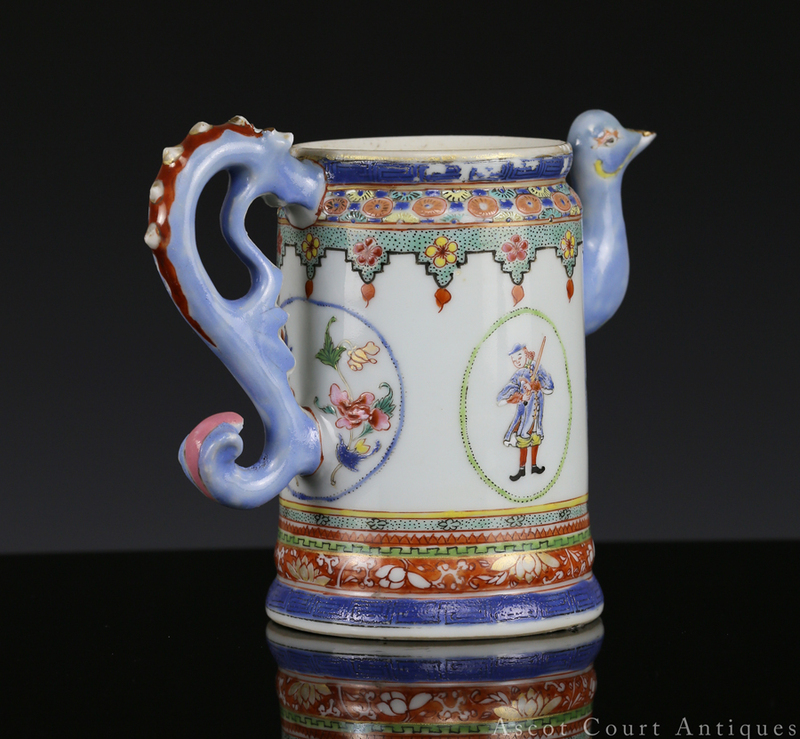 This coffee pot in particular is a synthesis of western and eastern design: the whimsical bird-head and dragon-tail shape is most definitely derived from Meissen design from the same period, and the European gentlemen were probably copied from European prints and engravings. 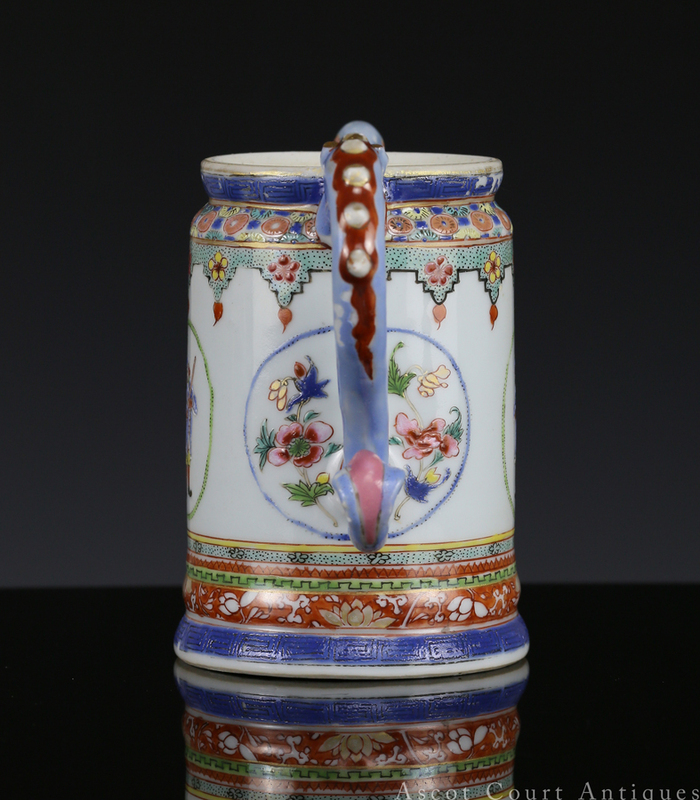 The decorative elements (borders, bands, etc) are however distinctly Chinese. 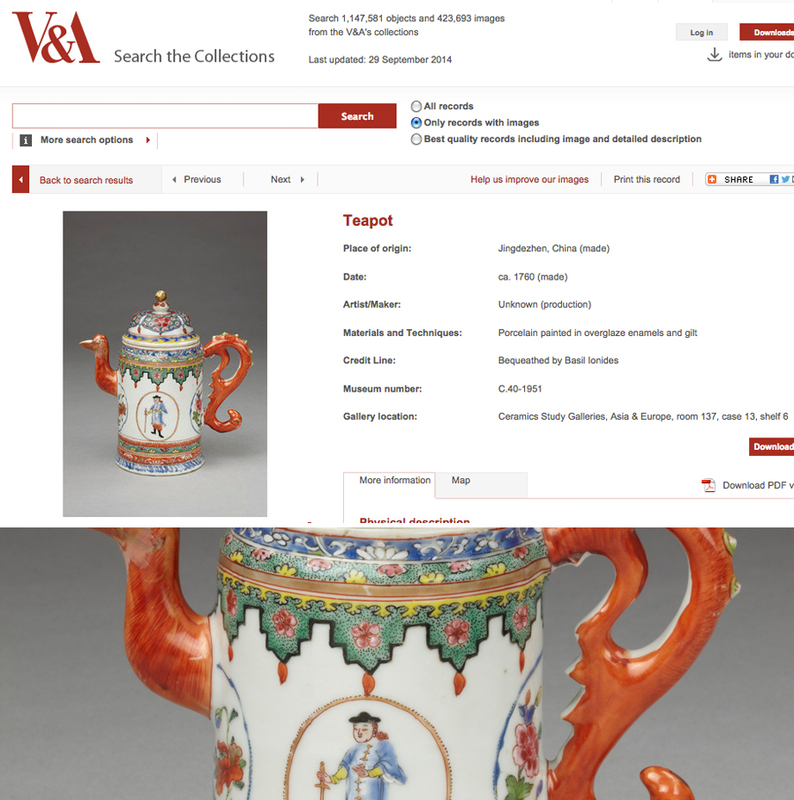 A coffee pot of nearly identical design is in the Victoria and Albert Museum (C.40-1951) and on display on in the Ceramics Study Galleries (room 137, case 13, shelf 6).